Busch Latte is here for fall! While fall doesn't officially start till Sept. 23, that hasn't stopped Starbucks from unleashing the ever-popular (yet incredibly basic) Pumpkin Spice Latte (or PSL if you're fancy) into the world, along with other unnecessary pumpkin spiced products. 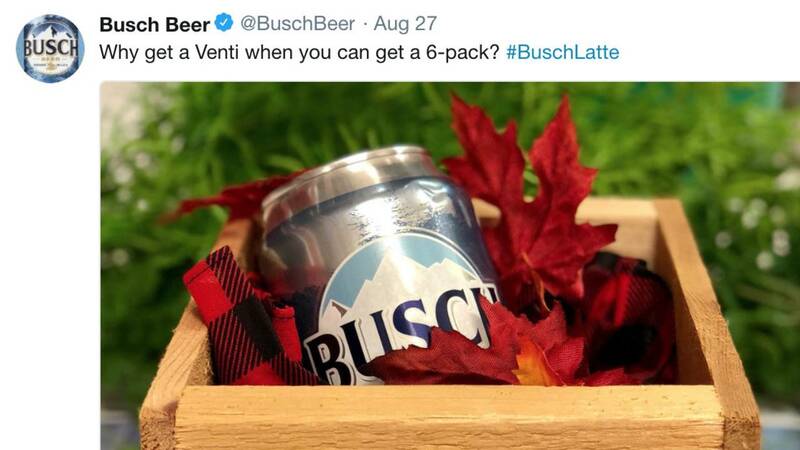 But one company has finally decided to troll Starbucks with its genius marketing campaign with an even better idea: Busch Light beer has officially changed its name to Busch Latte for fall. The beer company has been teasing some sort of announcement on Twitter the last couple of days with photos of a Busch can wrapped in a fall scarf and pumpkins, with captions like "We call our baristas, “bartenders"" and "Why get a Venti when you can get a 6-pack?" Busch Light announced on Tuesday that Bush Latte is officially here, but not to worry about the taste -- they are just changing the branding on the can. And if you love the new beer name as much as we do, you can even get a new Busch Latte T-shirt to proudly sport in the upcoming months. 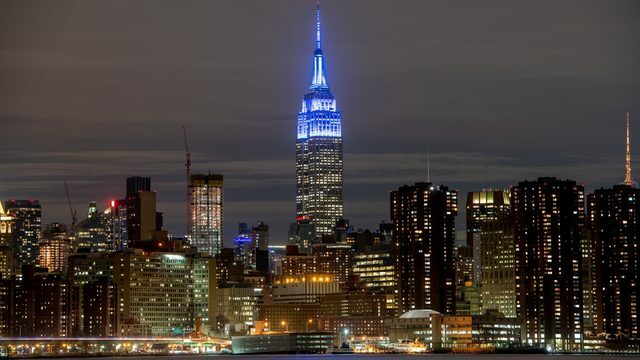 Naturally, people on the internet immediately fell in love with Busch Light's PR stunt and tweeted their approval.